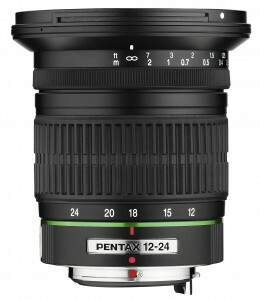 In this round 2 wide-angle knockout match, the SMC Pentax-FA* 24mm F2 faces the SMC Pentax-DA 12-24mm F4. It seems like the DA12-24 is one of the two zooms which get to this point, and I expect it to win this round too, based on photos and praises I've seen and heard about it. Pity I have non of these two, but would nominate the DA12-24 based on stunning photo's I've seen from its owners. One cons which both of them share is the big size of them, but you would expect that from a wide angle zoom or fast lens. Both seem to have a good reputation and though I've never tried neither I'm cheering for 24/2 for the sake of it not being a Tokina lens. Boring generic UWA digital zoom, vs beautifully crafted, fast, full-frame WA? I know which has my vote! I have both lenses and love them dearly, the sheer convenience of the zoom is such a handy thing , however when I want to really have a chance of a quality keeper I turn to the FA 24 , I think the pictures above should include the hood for the 24 as well , it looks great on my silver K3!